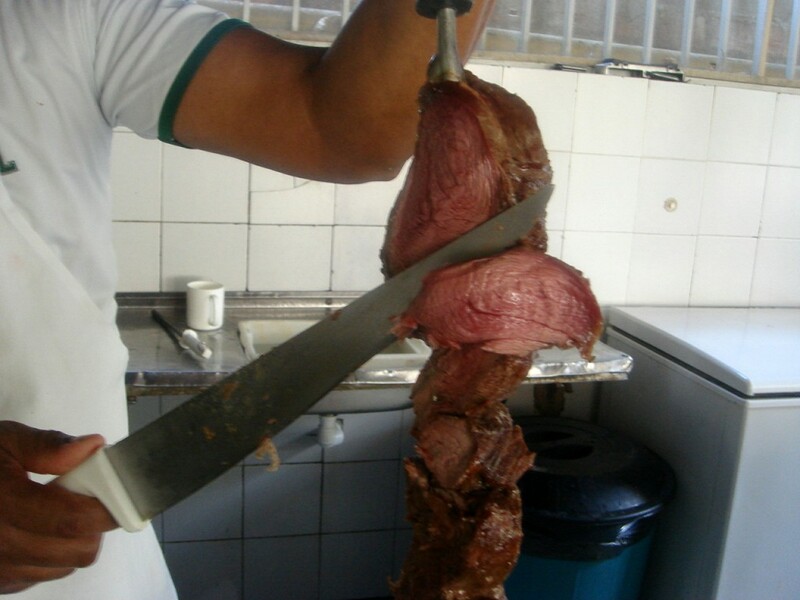 In the time that I have been in Salvador, the churrascaria, Brasil Legal, has became something of a favourite. 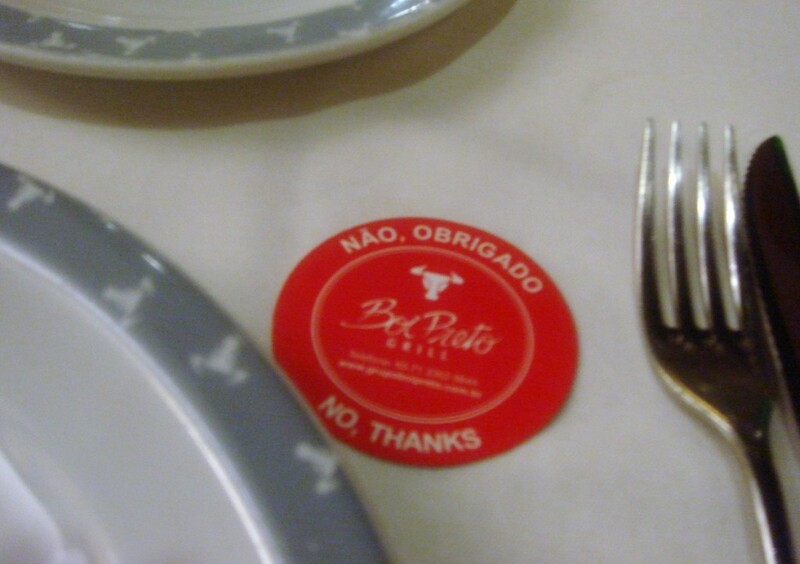 Unlike Boi Preto, the churrascaria that I talked about in my last blog post, Brasil Legal is no high end eating establishment. The décor is not flash. Here you won’t get any table service other than for drinks. 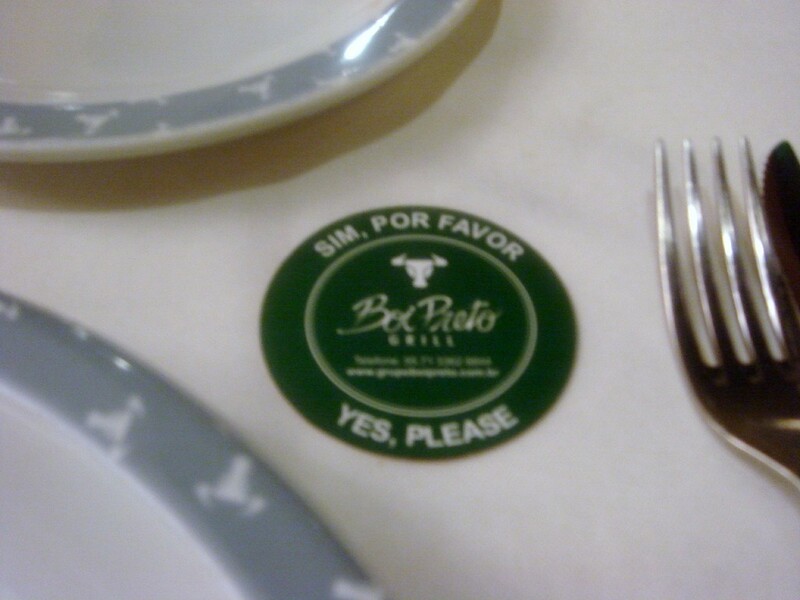 There are no passadores (meat waiters) who come to your table to offer you meat. Instead, you must go to the meat station to collect it yourself. But what makes this place so great is the price. 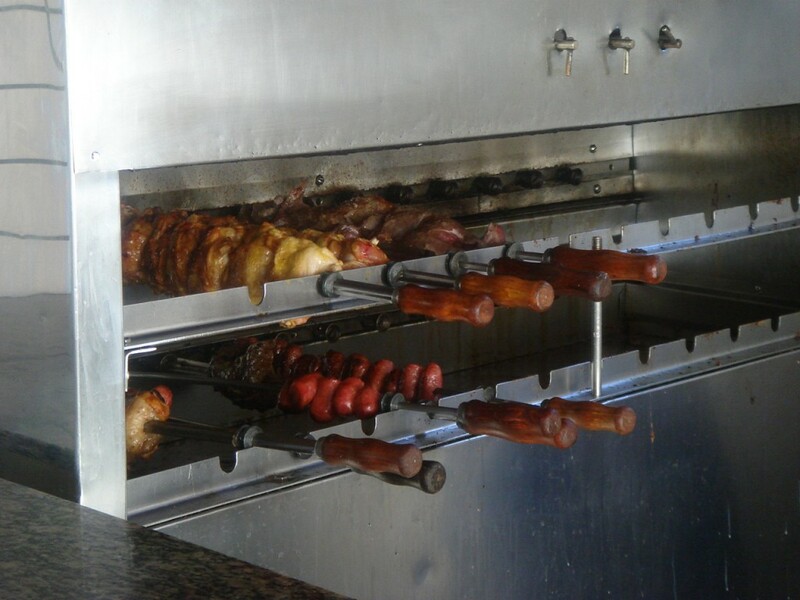 An all-you-can-eat lunch will set you back R$11 for the food and R$2.50 for a drink (total R13.50) which is about £5. When you consider that this is cheaper than a McDonald’s Big Mac meal which costs R$14, there really is no reason you should ever eat at McDonald’s in Salvador again. This place is cheap, cheap, cheap. I don’t always advocate cheap places – I believe in quality over quantity. But here at Brasil Legal, the food is pretty good. The restaurant offers 25 different types of salads including a variety of fruit, 16 different cooked dishes, four types of meat (steak, chicken, sausage and chicken hearts) and desserts when available. Eating at Brasil Legal is a pretty addictive experience, especially when you consider that for nearly next to nothing you can eat pretty good food and fill your tummy to the brim. It’s a place that I’ve been coming to regularly for a late lunch so that I can eat myself silly after a hard day at the beach. In fact, I’ve been here about eight times, during which time I have sampled just about everything that the restaurant has to offer. To most Brazilians, Salvador, the capital of the state of Bahia in the Northeast of Brazil, is home to the best carnival that this country has to offer. The one in Rio de Janiero might be world famous and the largest, and it’s great for watching, but if you want to join in the fun itself, Salvador is the place to come. 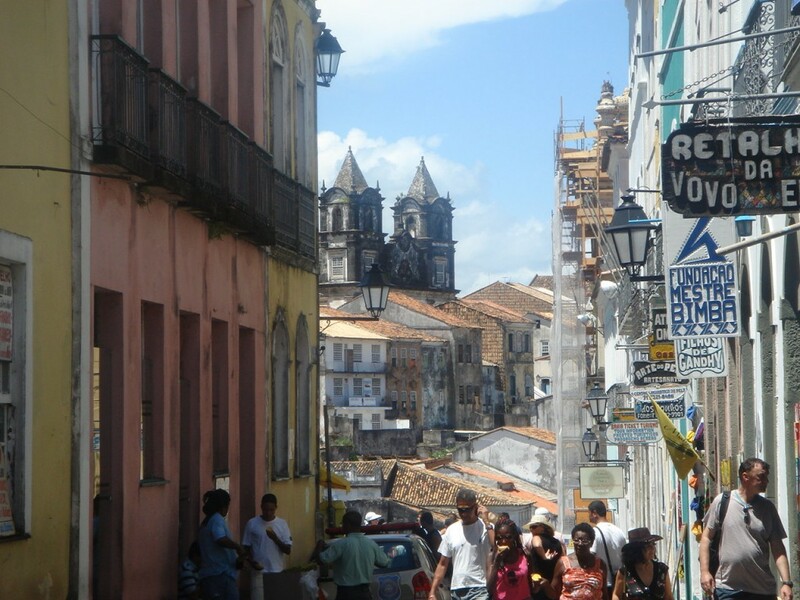 This is the kind of city that Salvador is: a heady mix of party, sun, rhythmic music and caipirinhas that could knock you out. 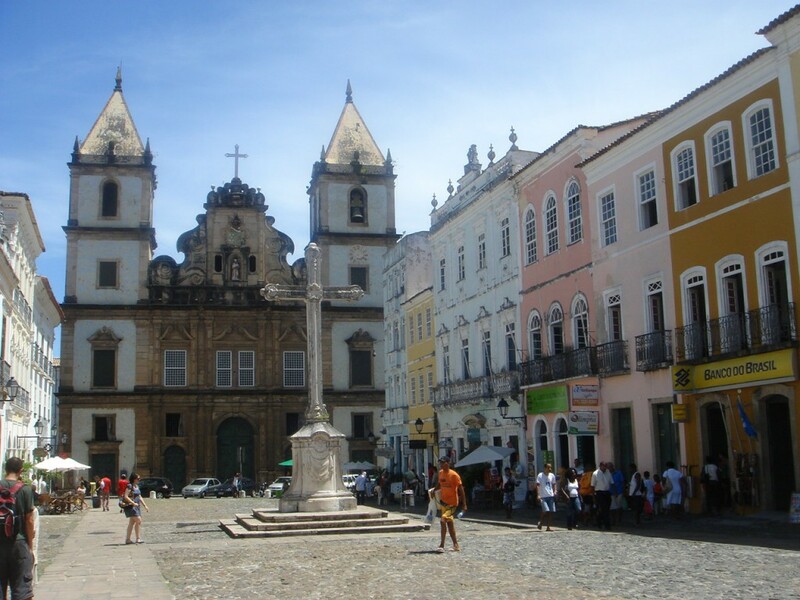 Brazilians tend to live for the moment, and no where more so than in Salvador. Brazilians also seem to have very little modesty, at least on the beach anyway. One of my most lasting memories from my first trip to Brazil nine years ago was that they like to don the skimpiest, tightest swimwear imaginable – irrespective of body size. A conversation on the nature of beach wear with one of my Brazilian girlfriends confirmed this. “You have to wear one of those tiny string-type bikinis.” She advised before my trip. “People won’t stare at you if you wear one – they’ll only stare at you if you DON’T”. Right.